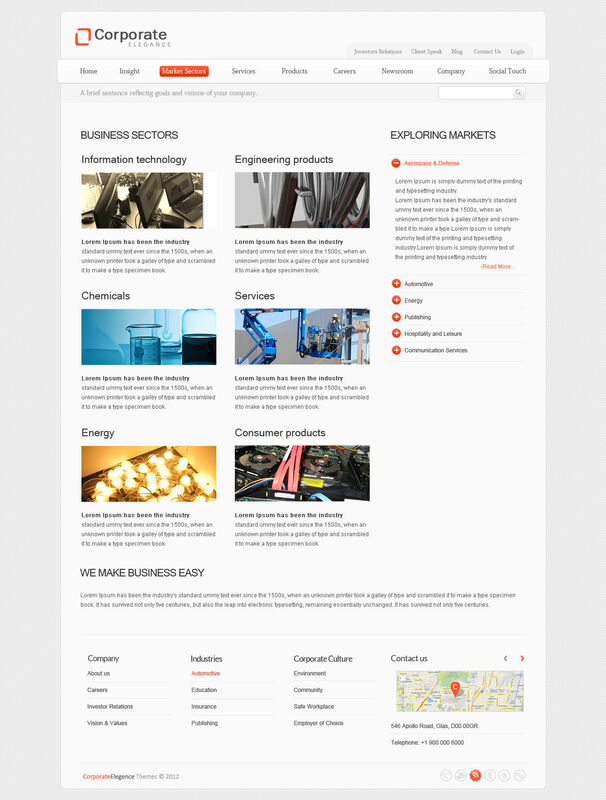 This is a Professional PSD Template for a business/corporate website. 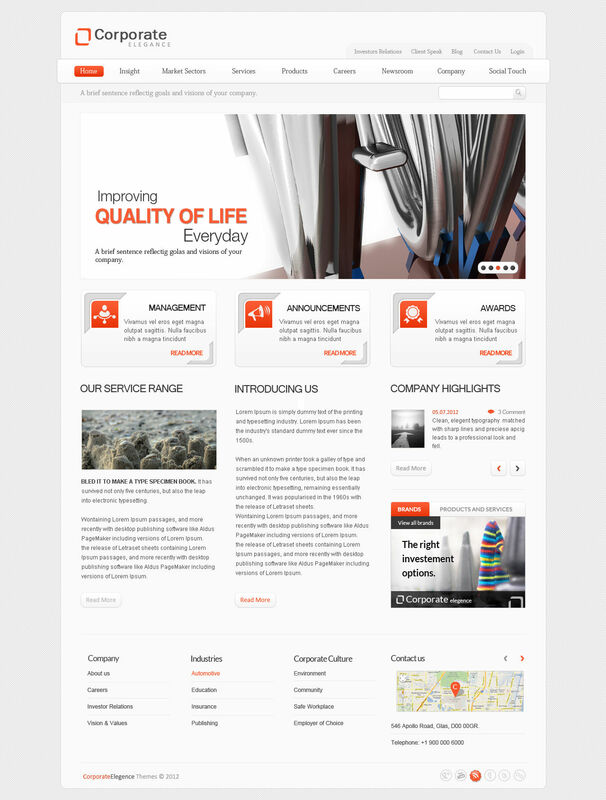 “Corporate Elegance” PSD template is an elegant & stylish layout designed to promote corporate/business website. 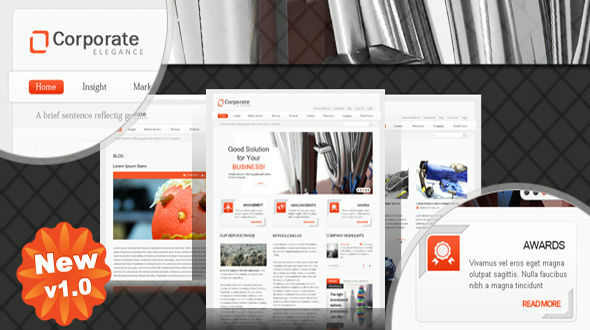 Templates included are blog, services, products, insigts, market sectors, client speak, contact us etc. Simply open the PSD file given, and begin customizing by editing fonts, logos, images, background, colors, graphics, etc. Fonts used are Arial, Lato, ArialRoundedMTBold, Calibri,FranklinGothic Book and Corbel, Kozuka Mincho Pro, Microsoft Sans Serif.